The wedding cake is one of the oldest traditions of a typical wedding. When we think of a wedding cake, most of us picture a beautiful, white cake with multiple tiers of delicious white fondant and vanilla buttercream frosting. But, wedding cakes can be so much more than this typical look. Although traditional, classic cakes are a perfect option, wedding cakes are evolving and taking on different looks and styles. This season’s trend? The naked cake. You may be wondering what exactly a naked cake is, but chances are you’ve probably even see one of these cakes before on Pinterest. These earthy and undone looking cakes are taking the wedding industry by storm. Brides everywhere are asking their baker for this look. So what is the naked cake and what is this style suited for? A naked cake is typically put together with multiple layers of cake stacked one on top of the other, depending on how many guests you have to feed or how tall you want it to be. The naked cake is a minimalistic approach. In between each tier is a layer of frosting, but the exterior of the cake goes un-frosted. The looks of naked cakes vary in the frosting. 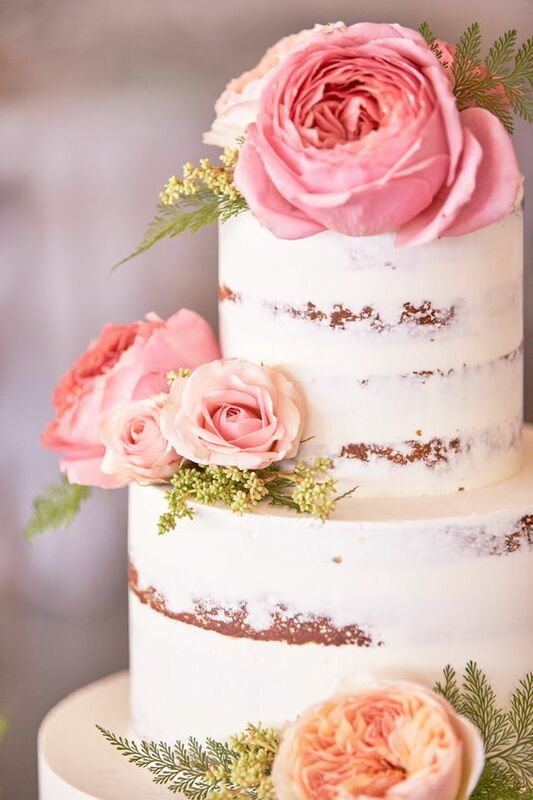 Some naked cakes feature a thin film of white icing on the outside that still exposes some of the bare parts of the actual cake and this is most commonly known as a semi-naked cake. Other naked cakes simply go without icing on the outside or are only brushed with icing in a few places on the exterior of the cake. Naked cakes really started to come into the limelight around 2014 and now three years later this is a popular and regular request from several brides. This naked cake style has become the new classic. Naked cakes, also called translucent cakes are perfectly suited for any outdoor wedding. They pair well with backyard weddings, garden receptions, and rustic vibes. 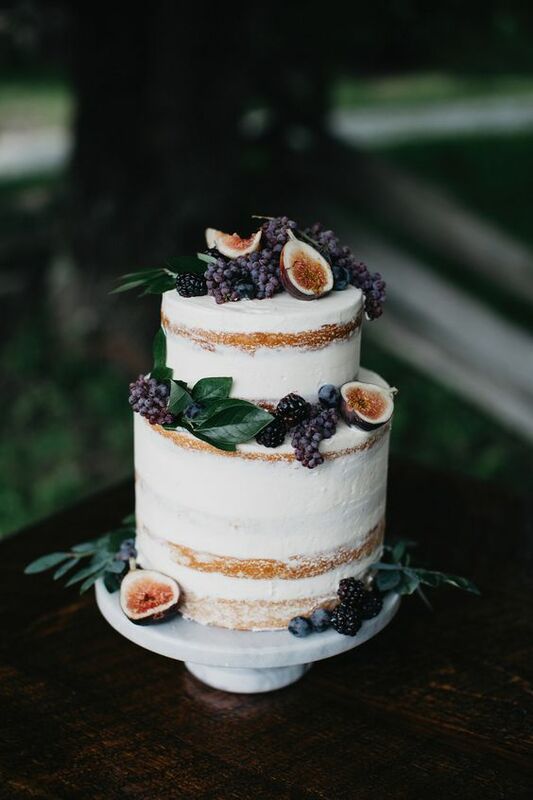 Naked cakes are also perfect for the bohemian princess. If you’re planning a vintage wedding, this style could also work for you as well. 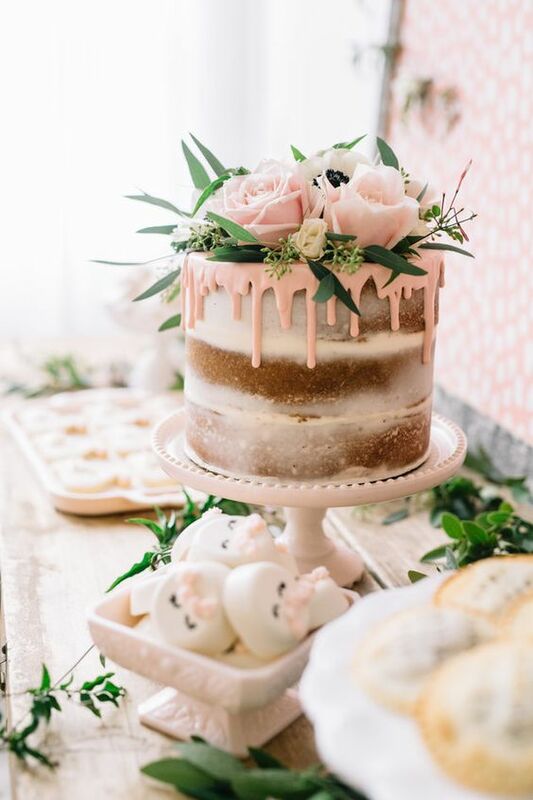 The wonderful thing about the naked cake is that even though it is a very specific style, you can decorate your cake with all kinds of different adornments. Popular add-ons to the layers of these cakes include flowers, edible and real, greenery, berries, and some couples use cake toppers with cute sayings such as “happily ever after”. There are all kinds of unique cake toppers that you can use to finish off a naked cake. My favorite place to find sweet and stylish cake toppers has to be Etsy. It’s the best way to find cake toppers that fit in with that whimsical vibe that you may be going for. 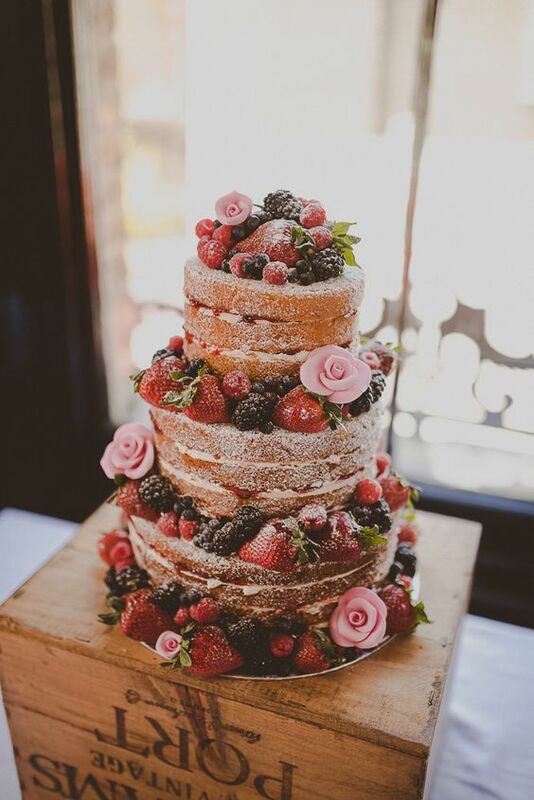 For more naked wedding cake inspiration, keep scrolling!